Members of the Association of Lebanese Industrialists (ALI) have elected Neemat Frem, President and CEO of INDEVCO Group, to lead a new Board of Directors over the next four-year term. 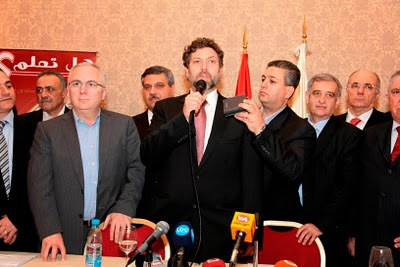 The association election convened on Saturday, 27 March at Metropolitan Hotel in Sin El Fil, Lebanon. "We come from an industrial school whose first and most important mission for a better society is embodied in the creation of work opportunities enabling Lebanese citizens to thrive inside the country without having to emigrate and flourish abroad.